This is a guest post by Ben from Subreel. 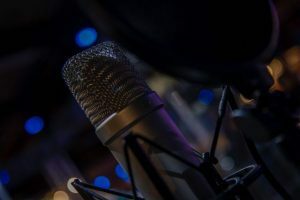 Recording is becoming more and more popular, with more people having access to studios in the 21st century and more audio engineers trying to make their way in the world. Recording techniques can be a complicated subject, which we’re trying to demystify with our tips for micing up strings. 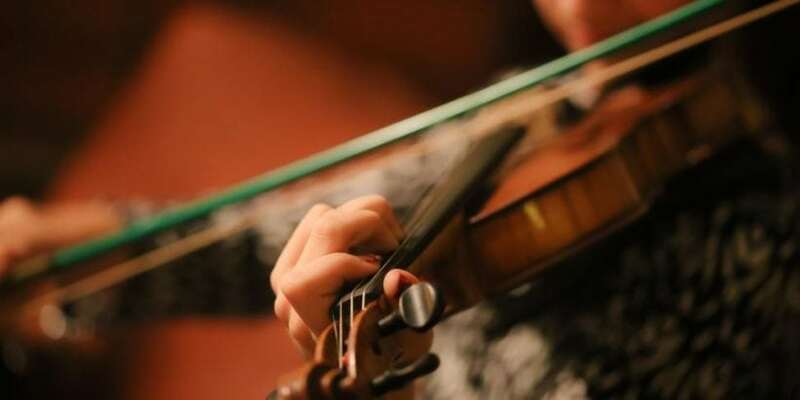 When we refer to ‘strings’ when talking about instruments, we don’t mean ‘any instrument with strings’, we mean orchestral instruments such as violin, viola, and cello. 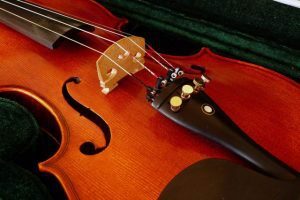 This may seem like a more ‘niche’ instrument, but after guitar, bass and piano, these are some of the most popular instruments people play. For budding audio engineers, there are some simple ways to get a better quality recording. What is a good microphone for recording orchestral stringed instruments? There are literally hundreds of microphones available in this day and age. This is not just competition, it is because they all have different responses to different frequencies and do a different job to one another. For strings, you will probably be looking at buying a condenser microphone. These are normally used for recordings and are preferred to dynamic mics, which are more rugged, but often less detailed in the recordings they pick up. Condensers are preferred for their nuance and detail. The other option is a ribbon mic. These are incredibly fragile and often expensive, but the immense detail they can pick up is perfect for recording strings. Recommended Microphone – AKG C414. There are many options out there, and some engineers will be restricted to their collection of mics. You don’t necessarily have to invest in a new microphone, and we recommend a mic which is one of the most versatile. 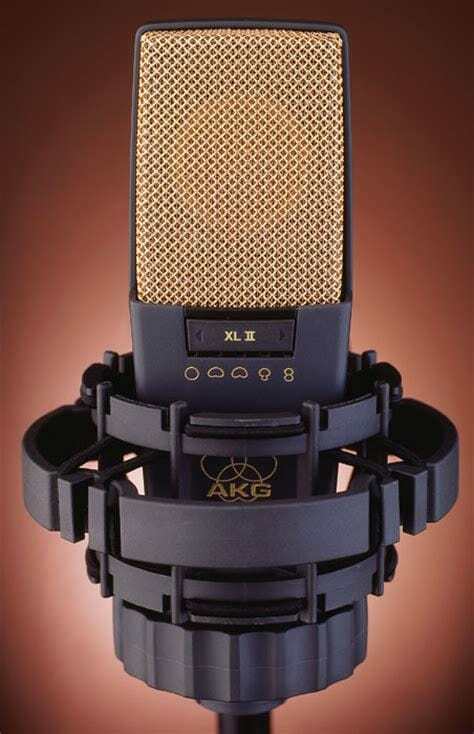 The AKG C414. This is a microphone which can be used for drum overheads, guitars, piano and more, so will offer a lot of quality and options for recording as well as being absolutely brilliant for strings. Switchable polar patterns allow for experimentation and perfection of your sound, and the C414 does an exceptional job of picking up the higher frequencies that other microphones miss. If you’ve had good success recording strings with other microphones, please leave a comment below. Here are some tips on positioning mics for recording strings. It is all well and good having the best microphone in the world, but in the wrong hands this will achieve very little. The positioning for microphones for strings, and the environment in which you are recording it are absolutely vital, though relatively simple. The diaphragm of the microphone should be positioned above the instrument. Stringed instruments are tilted up slightly when played and this will help the mic to pick up the sound. Place the mic more than a foot away from the instrument. 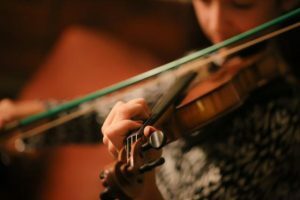 One to three feet is fine, you will probably want to experiment with what gets the best sound out of your own instrument. Utilize the room you are recording in. Vocal booths can be a bit restricting for strings, which have a rich sound and fill the room. Having another ‘room mic’ can make the sound more natural and full. Of course, I wouldn’t recommend doing this in a bathroom as the acoustics will be poor, but in a room with nice acoustics this is an option. Point your mic toward where the instrument is bowed. Years of recording have told audio specialists that this tends to get the best results. How can you capture the sound of violin, viola, and cello in the recording studio? There is room for experimentation, and this is always the case in the world of audio, but following the steps above will make sure you end up with a rich sound that you (and the musicians you are recording) will be happy with.